Israel has made it clear we’ll reject any Quartet preconditions for Middle East peace negotiations between Israel and the palestinans. On the eve of a much-anticipated breakthrough in the deadlocked peace process, Prime Minister Binyamin Netanyahu is remaining firm in his position that no preconditions should be set for direct talks with the Palestinians, officials told The Jerusalem Post on Sunday night. It’s a stance that sets Netanyahu in opposition to the Quartet, which is expected to issue a statement within 24 to 48 hours that likely includes preconditions that it hopes would be used as a basis for such talks. 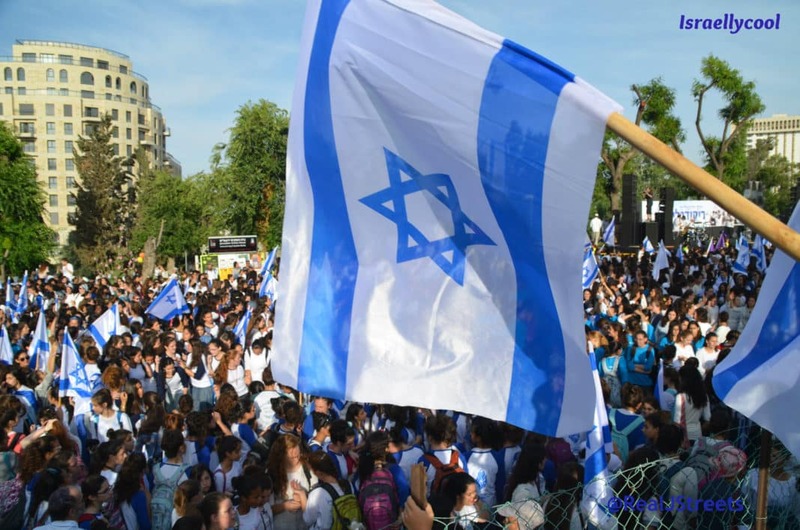 Although the US is a member of the Quartet, it has been working separately to push the two sides together, and at present Israel has shown a preference for the American efforts. “The Quartet statement is a fig leaf. We would accept only an American statement that would not include preconditions,” an official told the Post, adding that Israel hoped direct talks would start over the weekend or at least by next week. The Palestinians, in contrast, want to push forward on the basis of a March 19 Quartet statement, which they assume would be reiterated now, including the Quartet’s support for dividing Jerusalem and calling on Israel to halt settlement construction. The PA has asked the US to agree to this proposal as well. As of press time, David Hale, an assistant to US special envoy George Mitchell, was meeting with PA President Mahmoud Abbas. He was expected to deliver the US response to the Palestinian proposal. Palestinian officials told the Post late Sunday night that Abbas had decided to call a meeting of the PLO Executive Committee to discuss whether to enter direct talks with Israel. The committee is likely to meet Monday or Tuesday, and Abbas is not expected to state his position on direct talks until after the meeting. Should Abbas agree to resume direct negotiations with Israel, which broke off in December 2008, it would be on the understanding that Israel would extend the 10- month moratorium on new settlement construction past its expiration date of September 26. The PA, however, is expected to back away from its demand that Israel halt all settlement construction as a precondition for talks, and settle instead for a statement by the Quartet that Israel should not be building in West Bank settlements. An Israeli official, however, said that Netanyahu had not changed his stance that the moratorium would end on September 26. As he prepared to leave for Greece on Monday for what would be the first visit there by an Israeli premier, Netanyahu met with the members of his inner cabinet, known as the septet. According to media reports, the septet endorsed Netanyahu’s stance not to accept the Quartet statement on the understanding that it would set preconditions for talks – some of which Israel has long opposed, such as a halt to all settlement construction. It preferred instead to wait for a statement about the talks from the Americans, which could also be issued this week. Israeli officials reiterated that since taking office, Netanyahu had wanted to hold direct talks with the Palestinians and hoped that the Palestinians would come to the table. Meanwhile, while Israel will reject preconditions for direct talks from the Quarter, a group of TRES (Target Rich Environment Scumbags) has rejected the notion of negotiations. 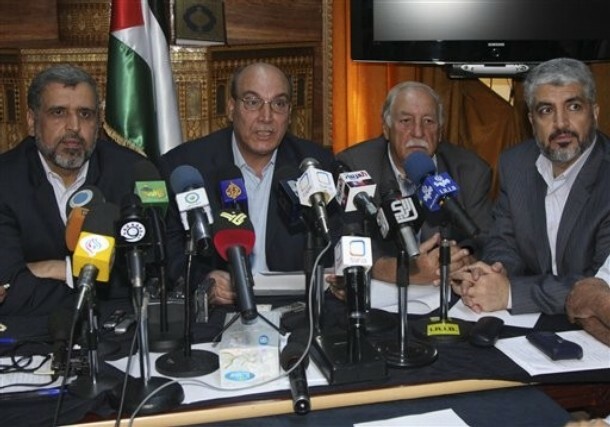 Hamas and 10 Damascus-based Palestinian organizations declared they oppose the resumption of direct negotiations between Israel and the Palestinian Authority on Sunday. The Islamic Jihad, the Popular Front – General Command and the Democratic Front for the Liberation of Palestine were among the groups represented in the statement. “The Palestinian refusal movements confirm their objection to direct or indirect talks and warn against the dangerous consequences of a policy which undermines national Palestinian rights. Return to direct negotiations is capitulation to the demands of the US and the Zionists, who seek to abolish these rights,” the joint statement read. 10:52PM: The IDF killed 2 palestinian terrorists trying to lay a bomb. They’ll be trying to lay 72 virgins now. This was followed by 2 rockets fired into Israel, with no injuries nor damage reported. The Management Company’s most recent SEC filing details changes in holdings, as is routine, but no change in policy. The University has not divested from Israel. Israel was moved from the MSCI, our benchmark in emerging markets, to the EAFE index in May due to its successful growth. Our emerging markets holdings were rebalanced accordingly. We have holdings in developed markets, including Israel, through outside managers in commingled accounts and indexes, which are not reported in the filing in question. 5:20PM: Head Hamashole Mahmoud al-Zahar has said says Muslims “have to build” a mosque near ground zero so that followers can pray, just like Christians and Jews build their places of worship. 2:20PM: Regarding the news that the Harvard Management Company has sold all of its holdings in Israeli companies (see 9:25AM update), Business Insider has noticed something else which could point to a political motive. As long as we’re speculating about possible politics behind the latest portfolio shuffling at Harvard Management Company, here’s something interesting. First, here are the iShares (ETFs) it held after Q1. Note that the iShares MSCI Israel is in there. Now, check out its latest 13-F. Goodbye Israel, hello Turkey. Bear in mind that the infamous flotilla incident happened in Q2. Just saying. Organ harvesting conspiracy theorists will have a field day with that. And it only gets worse when you click through to the article. They could be the State’s best ambassadors abroad, but there are those who would like to see them back here, living and working in Israel. The fight against the brain drain is back on, and a first-of-its-kind database of over 4,500 names of scientists, academics and high-tech experts living abroad has been compiled. The goal: To reach every single one of them and convince them to return to Israel. The database includes the home and work addresses of the expats, and the government plans to form a personal plan for each individual aimed at bringing them home. The project is the brainchild of two Israeli businesspeople, Dr. Nurit Eyal and Dan Vilensky, who decided to volunteer to bring Israeli brains back to the Jewish State. The two approached the Ministry of Science and Technology, which decided to step up the fight. With the help of the Yad Hanadiv Foundation, the ministry funded an extensive campaign to locate high-tech experts and scientists abroad and set an initial target of at least 5,000 people. As part of the efforts, various marketing tactics were employed to reach the expats, including ads in foreign media, on online social networks, and in universities around the world. According to the data collected so far, there are currently 3,348 Israeli ‘brains’ living in the United States, 385 living in Canada, 340 in England, 131 in Australia and a few hundred others around the world. The numbers show that people working in the high-tech and computer fields make up the majority of Israelis emigrating for economic reasons. Data is still being collected, and the plan’s next phase includes practical steps to try to reach the expats. An inter-ministerial committee, comprised of representatives from the Education Ministry, the Science and Technology Ministry, the Council for Higher Education’s committee for budget and planning and the Israel Academy of Science and Humanities, is currently forming and operational plant to enable the professionals’ return to Israel. The committee is headed by Gilad Avrahami, a senior deputy director general for economics and entrepreneurship at the Immigrant Absorption Ministry. Dr. Eyal, who started nanotechnology companies and now works as an advisor in the field for various companies, explained that the main hurdle keeping Israeli professionals abroad is the lack of employment in the State. To combat this, Israeli high-tech companies are currently being contacted in hopes of recruiting them to absorb the Israelis coming back to work. 1:04PM: Israeli TV host/comedian Yair Nitzani explains being Jewish to foreign workers. 9:38AM: Yesterday, I posted about Iranian taekwondo fighter Mohammed Soleimani’s refusal to compete against Israel’s Gili Haimovich in the championship match of the 2010 Summer Youth Olympics in Singapore. Now I see more evidence of an Iranian competitor’s bad sportsmanship and politicization of sport. What Reuters has completely missed is the fact he is holding a Turkish – not Iranian – flag. But upon further investigation, I see that he is actually Turkish! In another blow to Israeli shares, the Harvard Management Company notified the US Securities and Exchange Commission (SEC) on Friday that it had sold all its holdings in Israeli companies during the second quarter of 2010. No reason for the sale was mentioned. The Harvard Management Company manages Harvard University’s endowment. Harvard Management Company stated in its 13-F Form that it sold 483,590 shares in Teva Pharmaceutical Industries Ltd. (Nasdaq: TEVA; TASE: TEVA) for $30.5 million; 52,360 shares in NICE Systems Ltd. (Nasdaq: NICE; TASE: NICE) for $1.67 million; 102,940 shares in Check Point Software Technologies Ltd. (Nasdaq: CHKP) for $3.6 million; 32,400 shares in Cellcom Israel Ltd. (NYSE:CEL; TASE:CEL) for $1.1 million, and 80,000 Partner Communications Ltd. (Nasdaq: PTNR; TASE: PTNR) shares for $1.8 million. Harvard Management Company’s 13-F Form shows some interesting investments. Its two largest holdings, each worth $295 million, are in iShares ETFs, one on Chinese equities, and the other on emerging markets. Harvard also owns $181 million in a Brazilian ETF. People. Never go off the deep end on these things without waiting for an explanation or a statement. I find it highly unlikely that a fund like Harvard is going to divest from Israeli stocks — all Israeli stocks — for political purposes. You don’t think Dershowitz is picking up the phone right now for answers? 9:15AM: A few months ago, a Jewish moonbat by the name of Emily Henochowicz lost an eye after being hit by a tear gas canister while protesting the flotilla incident. Eyewitnesses claimed that the gas canisters were aimed intentionally at demonstrators, contradicting the results of the Border Police’s internal probe that indicated the tear gas projectile hit a wall and subsequently flew at Henochowicz. Here is some footage confirming the Border Police’s findings, in which you can clearly see the Turkish-flag carrying Henochowicz floored by a tear gas canister that ricochets off a wall. 6:05AM: On Huda TV’s question time, the Muslim “scholar” rants against Israel. Notice that he admits Muslim violence is terrorism (3:55), says we are worse than any disease that we have ever known (4:40) and advocates violence against Israel which is mandated by the Quran (4:48). Did he even answer the question? September specials at the Okeanus Hotels in Israel. Suites, Sea, and Style. Rooms start at only $170. Click here for more details.